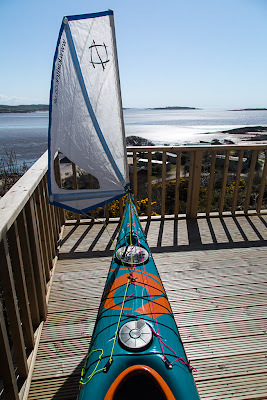 Fitting a Flat Earth Kayak Sail to a P&H Aries 155. The Aries is the composite version of the rotomoulded polyethylene Delphin so I knew it would be a great sea kayak for paddle sailing with a Flat Earth Kayak Sail. 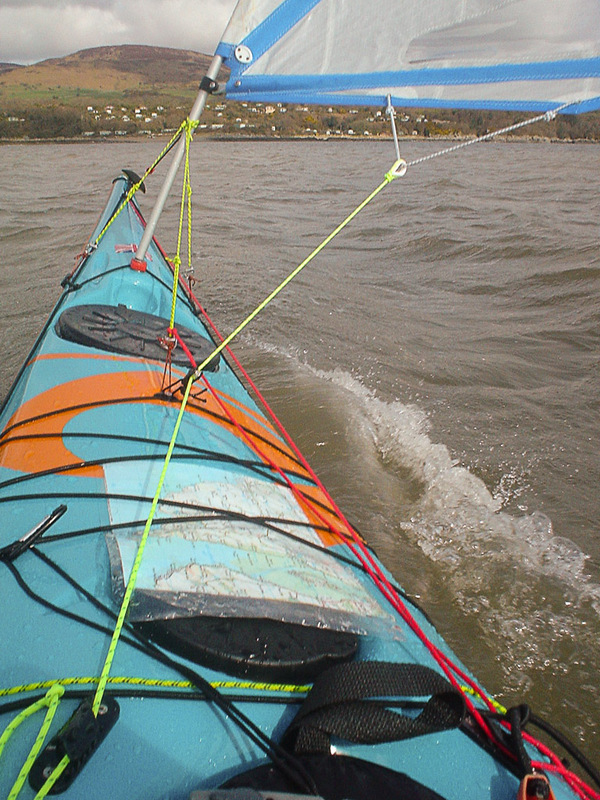 Like the Delphin, the Aries has a peaked foredeck to shed water. 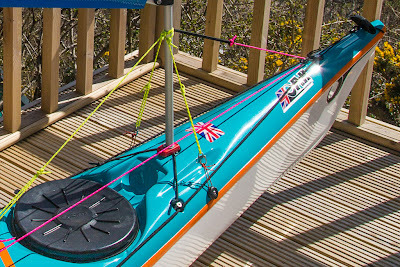 Just forward of the compass mount the deck is very stiff due the moulded channels to take the spare paddle shafts. 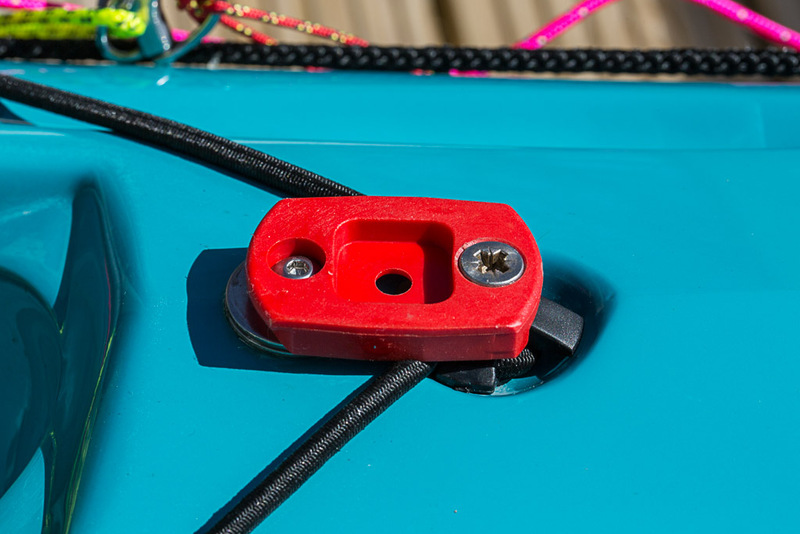 There was a handy RDF here so I removed the standatd bolt and used a longer M6 stainless steel bolt to secure the front of the mast foot plate. The rear was proud of the deck so I packed it out with two stainless steel washers and drilled the deck for the rear M5 bolt. I used Aquaseal round the bolt to seal the hole. 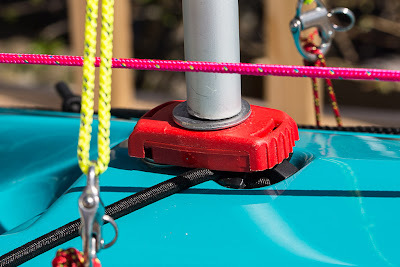 The mast foot in place. 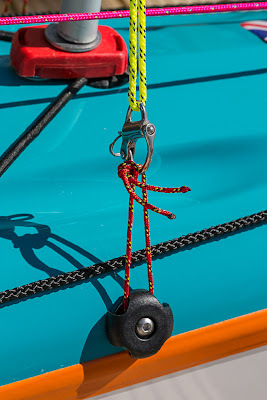 I used two surface mount fittings for deck lines to mount the two side stays at right angles to the mast, one on each side. 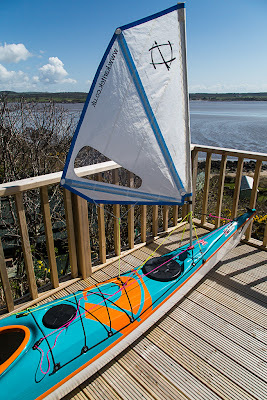 I have several kayakst set up for sailing so I have a standard side stay length and each kayak has a small loop of Spectra cord which is adjusted to fit the side stays once then the snap shackles allow the rig to be fitted nd removed quickly to any kayak with no adjustment. As my sidestays are at right angles to the mast I also use a back stay which is attatched to a Spectra loop through the front deck elastic RDF. Once the mast is erected the sidestays become "twang" tight. I fit the sheet and uphaul cleats (ClamCleat CL 213 and CL214 low profile line cleats) on either side of the cockpit front. 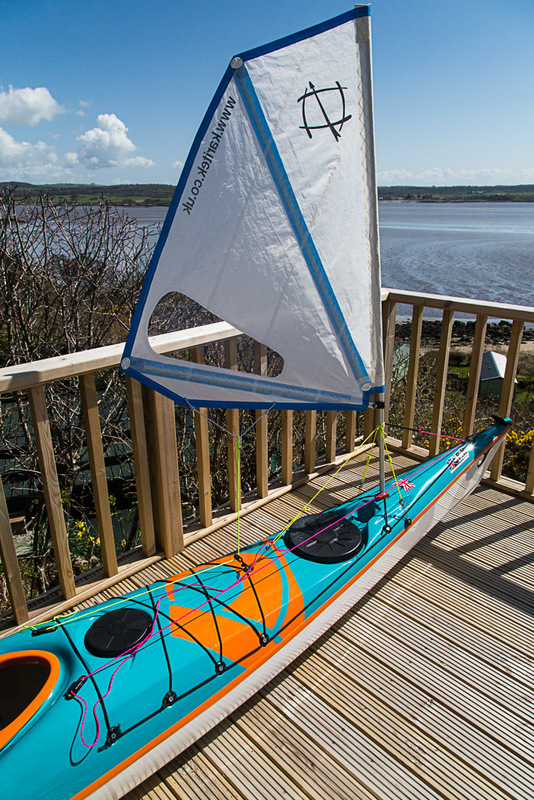 Make sure your thumbs won't bang against them when paddling. 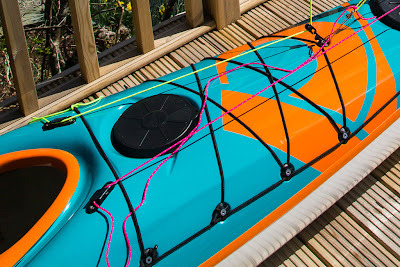 Note the pink uphaul line loops under the rear deck elastic and then goses foward where it is tied off onto the back stay. If you are running before a strong wind a tug on this will get the sail down without having to turnt the kayak's bow round into the wind so the mast blows back.